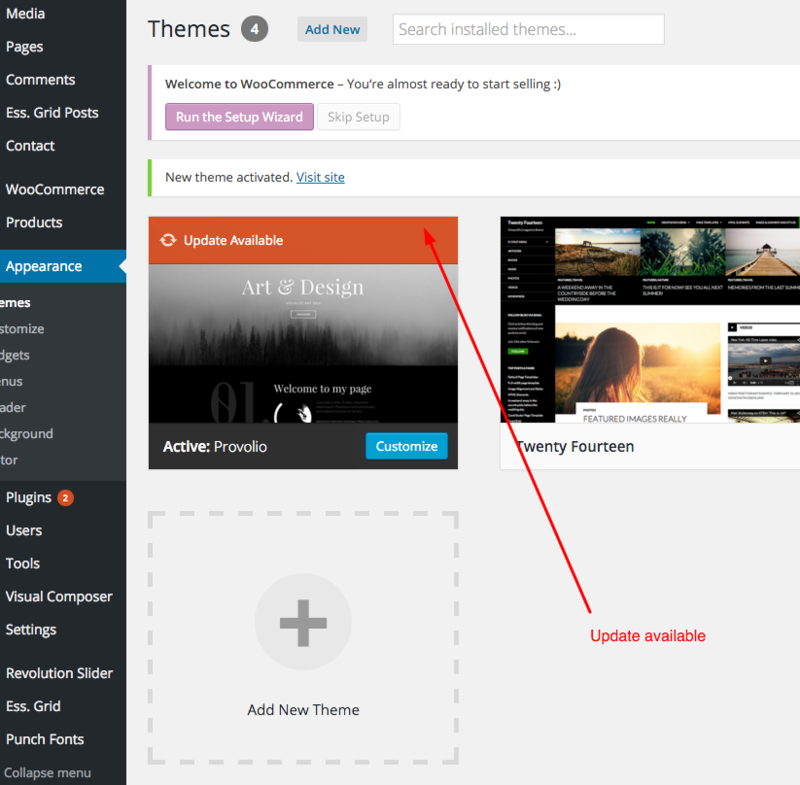 Before you could update the theme, you must enter purchase number you got from themeforest. 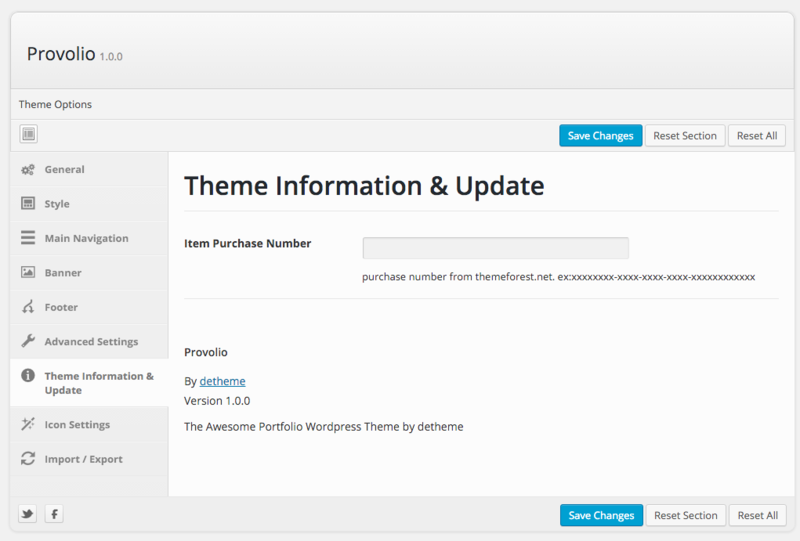 Navigate to Appearance > Theme Options > Theme Information & Update then enter purchase number and save the changes. 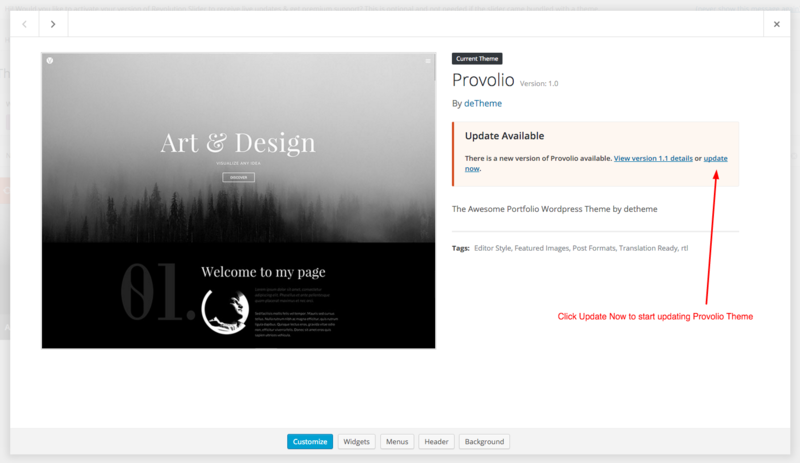 There will be Update Available link on Provolio thumbnail if there is any update version.